It’s a message that Accenture, the country’s largest service provider by revenue that employs over 45,000 people across its 23 offices nationwide, had taken to heart much earlier. In BusinessWorld's latest list of the "Top 1,000 Corporations in the Philippines" by gross revenue, it ranked 36th, making it the highest-ranking BPO firm. The company has already implemented AI, automation, analytics and other innovative technology it calls “Intelligent Operations” over the past three years—and claims to have not let go of any of its employees in the process. According to Manish Sharma, group operating officer of Accenture Operations, the company was able to retain its employee base by upskilling them and giving them higher-value jobs. He believes that automation and AI should not be seen as a threat to Accenture employees’ jobs, but rather as an enabler of job opportunities. 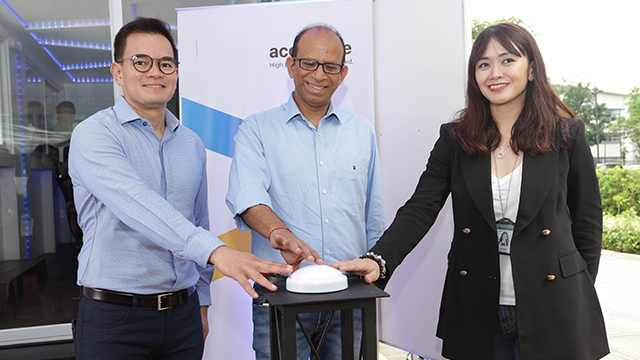 Sharma also asserted that because of these new technologies, Accenture is able to upgrade its employees’ jobs by replacing mundane tasks with higher-value work. He shared how some employees have become “robo-managers”, wherein one person handles up to 13 robots as their new job. He also said that employees are encourage to find ways to automate their previous jobs, and anyone who does so is rewarded with a promotion. 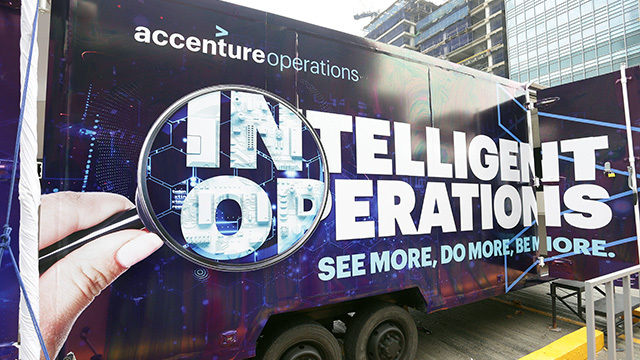 To give the public and prospective recruits an idea of how Accenture combines AI with human employees, it built the Accenture Intelligent Operations Trailer, which will tour around major business districts in Metro Manila such as Makati, Bonifacio Global City and Ortigas. Visitors will be able to see and test out employee-created projects such as an AI-enabled natural language processor that is able to translate close to 40 languages; a program using robotic process automation for cataloging invoices; and a “mood meter” that analyzes whether a statement’s sentiment is positive, negative or neutral.